Instagram is an increasingly popular channel amongst social media users. Whilst it is traditionally seen as a B2C social platform, it also has big potential for B2B marketers. And like any app, it’s constantly changing and updating its algorithm and features. Big updates have recently opened up new potential for all marketers using Instagram. Here Kayleigh Alexandra offers her insights into the latest Instagram developments and what it all means for your marketing strategy. Instagram introduced its first algorithm in July 2016, designed to bring the most relevant content to the top of users’ feeds. In March 2018 Instagram announced changesto make sure that newer posts are more likely to appear at the top of a user’s feed. Instagram state this is a development based on user feedback — helping to keep feeds fresh and relevant. What impact does it have on B2B marketers? The time that you post on Instagram will become much more relevant, as more weight is given to real-time chronology rather than a complex algorithm based on engagement and interest. In turn this means that branded content is likely to be equally weighted to posts from personal accounts. Bringing Instagram in line with other channels, there will be optimum times of the dayfor a brand to post, depending on its audience. B2B marketers should capitalise on the opportunity to publish posts at different times of the day, testing out engagement. It is often stated that lunchtimes (11am-1pm) and evenings (7pm-9pm) are generally the best times to post, when people aren’t at work – but depending on your sector, as a B2B marketer you might try other times. In addition, Instagram doesn’t penalise users for posting too frequently – so you can try to find your optimal posting frequency & timings without worrying about being downranked. If you don’t want to be working at those times either, you can use a platform such as Laterto schedule your posts. Not only is whenyou post important, but marketers often wonder what type of content they should be posting to have the best chance of showing up in users’ feeds. When video was a new feature on Instagram, the algorithm gave extra weight to video content, showing it higher in feeds. However, times have changed, and setting itself apart from some social media channels, Instagram’s latest update means that it does not automatically prioritise videoover photo content. If a user has shown preference to watching videos in their feed over engaging with images, then Instagram is likely to prioritise videos in that user’s feed. But unless its algorithm predicts that a user specifically prefers videos, there is no universal priority given to video content over images. If your business already lends itself to posting video, and you enjoy doing it, then you can continue to do so knowing that your content will be shown to users who are likely to find it most relevant. But given that video is not universally weighted higher than imagery, it takes the pressure off investing in a whole collection of video content just to keep on top of the algorithms. Indeed, Instagram is best known for its high-quality imagery, which has always been at the core of the app — and is what users most love about it. Cutting corners with free business picsoverlaid with brand colours or text is nothing to be ashamed of. In fact, modified stock imagery is known to do very well on the gram. Even if you only have access to stock imagery, combined with Instagram’s overlay and customisation features, you can create strong content which stands out to your audience. Want to take it further? Have a look at other photo customisation and overlay appsyou can use alongside Instagram. Despite the fact that Instagram often tries to keep an uncluttered experience within its app – features are generally limited – it launched Instagram Stories in the summer of 2016. Stories soon became a very contentious feature, either loved or hated. Initial feedback described it as a copycat of Snapchat, diluting Instagram’s heralded quality of posts, and yet uptake has been huge. The great news is that users who don’t make the most of Instagram’s latest features – including Stories and Live – won’t have the rest of their content penalised by the feed’s algorithm. On the flipside, if you can see potential for the Stories and Live features to support your brand content, there are lots of new updates you can capitalise on. For example, the new Questions Stickergives potential for your audience to engage with you via Q & A.
Whilst the core of Instagram’s offering is within its mostly public feed and stories features, the app also has its own direct messaging functionality. This is called Instagram Direct, and allows users to send private messages directly to one another. Earlier this year, an update saw the addition of a live Activity Status added alongside usernames within the Instagram Direct section, borrowing the feature from its sister app Facebook Messenger. Much like with Messenger, some users will prefer to turn off this feature, not wanting others to know when they are active online. Only people you followor have previously sent a Direct Message to will be able to see if you are currently online, or when you were most recently active. Your followers can’t see when you’re online. Privacy concerns aside, for brands and B2B marketers, this presents another opportunity to connect with your audience and engage with real-time conversation. Keep your Activity Status live and relevant users will be able to see when you are online. By appearing online as your brand on Instagram, you are showing other businesses that your profile is current and active, you are a serious competitor, and you are ready to engage with your potential audience. The latest updates to Instagram show promising potential for B2B marketers. Chronology will give brands more control over their posts, whilst the decreased importance of a complex algorithm will take away the mystery for smaller B2B businesses trying to keep up with yet another social media platform. And by continuing to treat images as equal to video, Instagram is also staying true to its original values as a photography app. 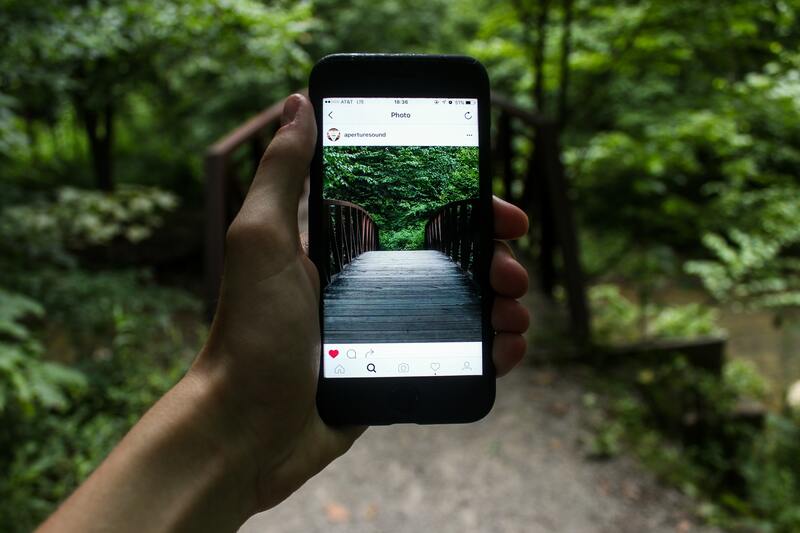 As a B2B marketer, there are easy ways to capitalise on Instagram’s latest updates and ensure you’re making the most of one of the best social media platforms out there. Kayleigh Alexandra is a content writer for Micro Startups — a site dedicated to spreading the word about startups and small businesses of all shapes and sizes, with a keen interest on those with an ethical philosophy. Visit the blog for the latest micro biz news and inspiring entrepreneurial stories. Follow her on Twitter @getmicrostarted.